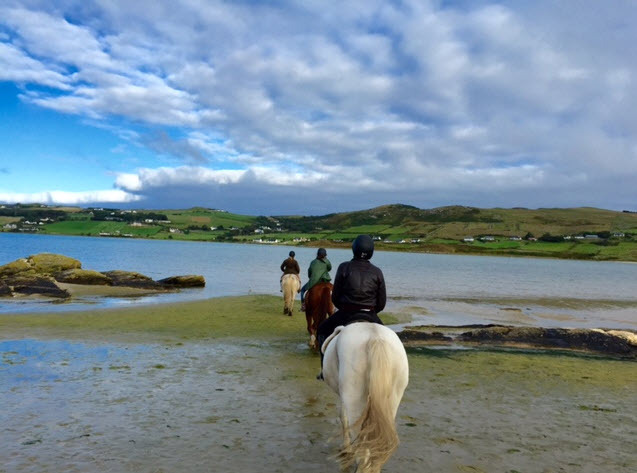 County Donegal, a windswept land of mountains and coastal cliffs, meadows and quaint fishing villages is finally getting its due as one of the most beautiful and unspoiled destinations in the world. Not only does it offer up its mysteries to those interested in probing its rich heritage, but it affords a myriad of activities for those seeking adventure. 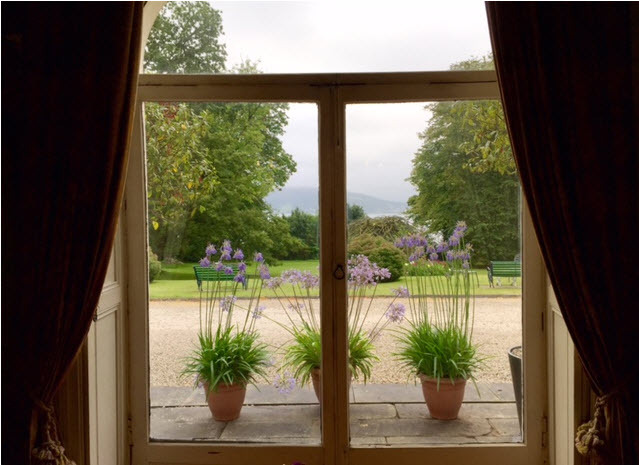 Depending on your interest, in a single day you can take in a night of music in a lively pub, explore ancient ruins, hike a mountain passage or loll about at tea time in the posh drawing room of a turreted castle. For some it’s a round of golf with sweeping sea views, a feast of mussels and lobsters from the daily catch, or surfing the waves along a Blue Flag beach. Others are drawn to the music. 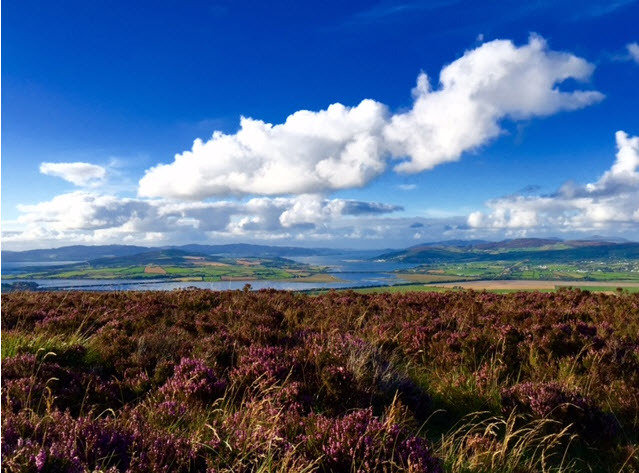 Donegal is where New Age songstress Enya launched her career in a pub owned by her musical family the Brennan’s, and a place where on any given night, fiddlers and balladeers still raise the rooftops at local watering holes. There’s so much to enjoy if you remember that getting there is part of the adventure. You’ll find the Irish are genuinely keen to meet strangers – like our chance encounter with a pair of octogenarians who giggled like schoolgirls and chatted us up when they heard our American accents, or the shopkeeper who poured generous shots from a bottle of homemade poitín, Ireland’s answer to white lightening. Traveling along well-paved highways the land spreads out like one great patterned tablecloth – the undulating hills and roadsides ablaze with color. Mile after mile claims great swaths of purple heather, vivid orange crocosmia and bright yellow gorse bowing to the breeze. 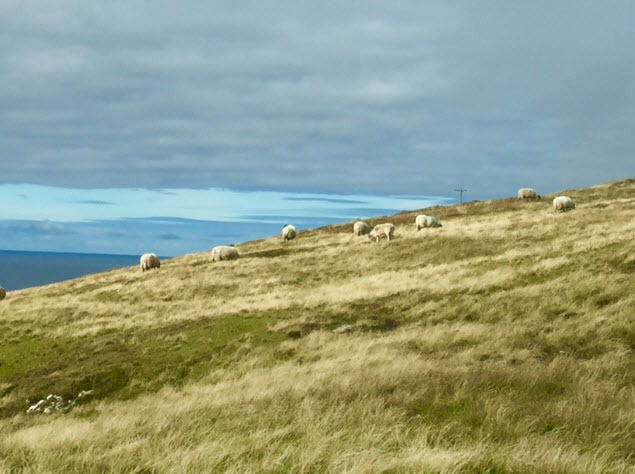 Sheep are ubiquitous dotting the fields under a vast horizon bisected by impossibly blue skies. 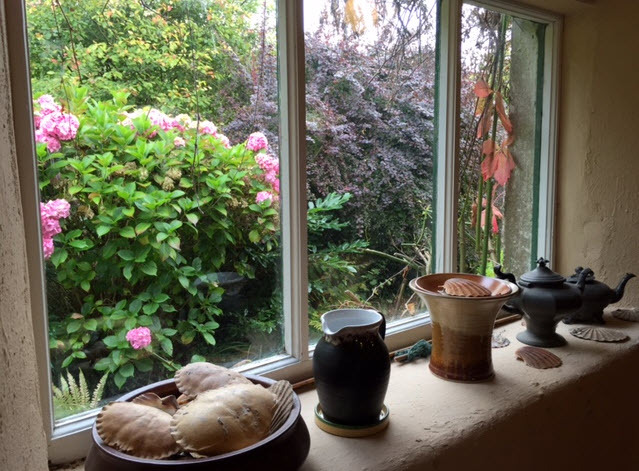 Even on a misty day it’s beguiling. It’s a mystical land of ancient Druids and conquering Vikings, of ruling dynasties and the chieftain families of the O’Neills and O’Donnells. From the sea we get tales of Spanish Armada ships wrecked on northernmost shores and from the land mystical histories of burial mounds older than the pyramids of Egypt are revealed. It is known to travelers as the Wild Atlantic Way. And it is where our adventure unfolds. Oh, the things you can do in five days! It is wondrous. 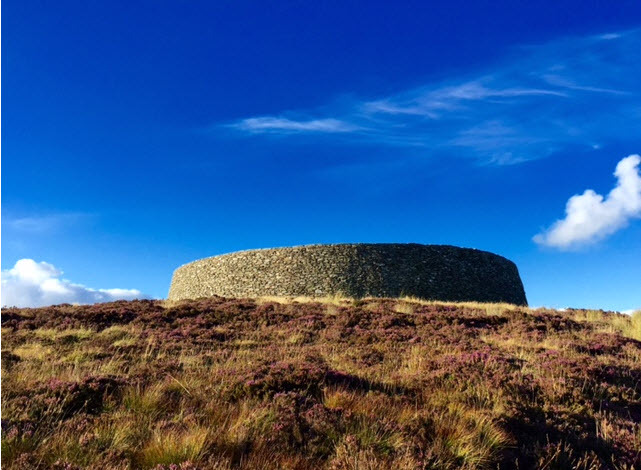 From Dublin go north through County Meath and its alluring horse country, and beyond through the counties of Monaghan, Tyrone and Strabane, to make your first stop at the Grianan of Aileach, a stone ringfort built in the Neolithic age and linked to the Tuatha de Danann. 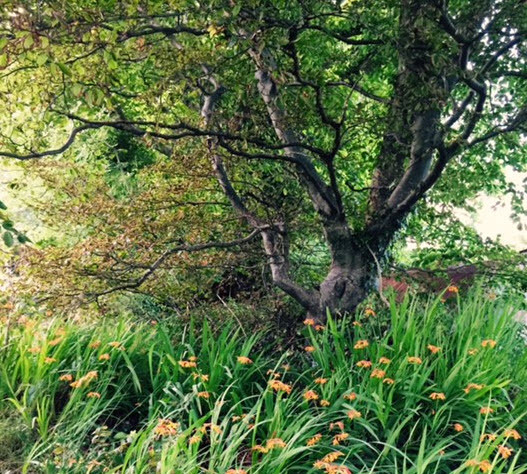 A short walk down the hill beside a small spring, will take you to a small wooden cross that marks St. Patrick’s Well, a spot it is thought that St. Patrick visited in the 5th century. 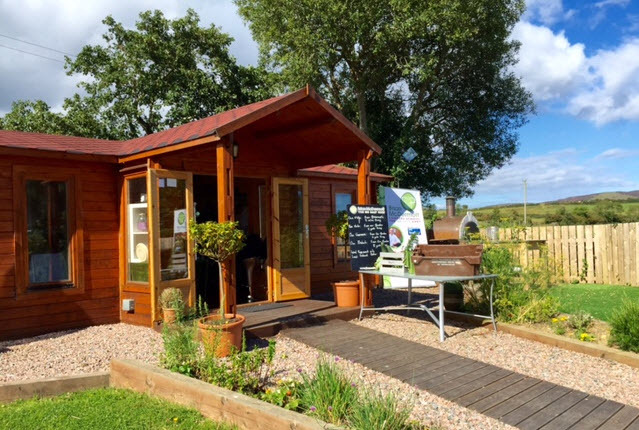 Lunch brought us to the outskirts of the small town of Carrownaffe where well-known BBC-TV chef Brian McDermott, fondly known as the “No Salt Chef”, welcomed us to his cookery school in a charming clapboard cottage surrounded by herb and vegetable gardens. McDermott triumphs a no-salt diet created as a result of personal health issues. 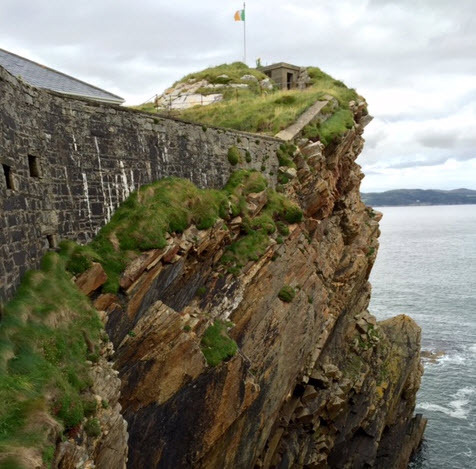 Known as “Grey Fort” or “Fort of the Heather”, Fort Dunree is a former coastal defense fortification in nearby Buncrana overlooking the Lough Swilly fjord. 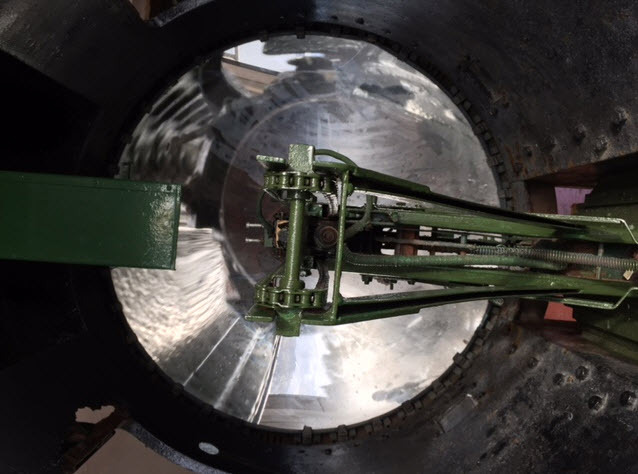 Built by the British in the early 1800’s, it offers a small, yet fascinating, military museum that spans the period from Viking invaders to present day. 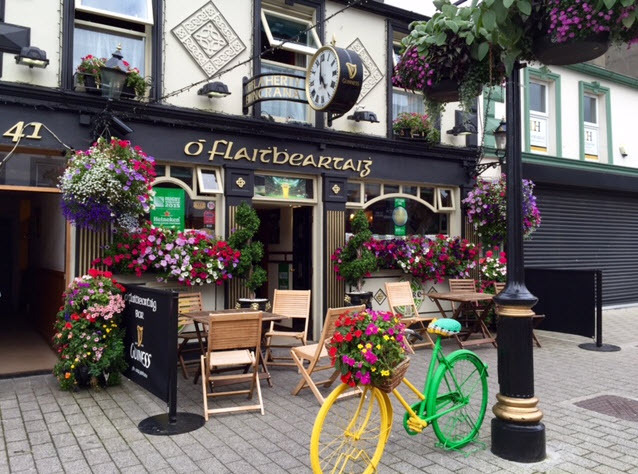 Stop in the pretty village of Buncrana where you’ll find plenty of pubs and shops and the restored St. Mary’s Hall Cinema built in 1904. 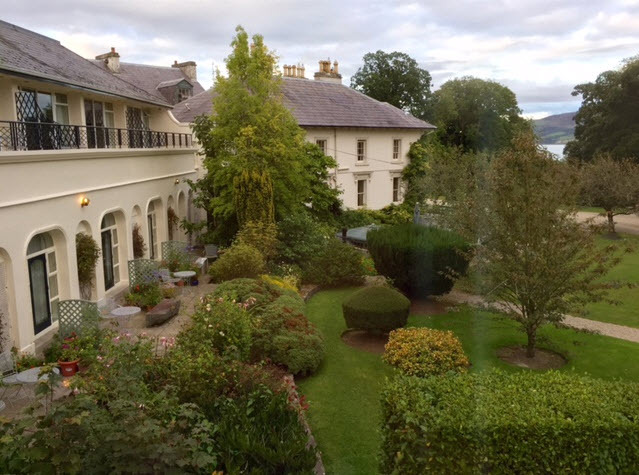 Listed in Ireland’s Blue Book of Irish Country House, Historic Hotels and Restaurants is the four-star Rathmullan House, a stunning Georgian manor with bespoke gardens, modern amenities and an exceptional cuisine. 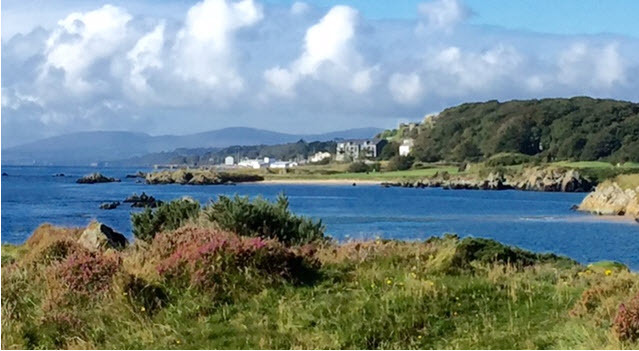 Traveling along the Fanad Peninsula to the lighthouse, stop at Ballyhiernan Bay. 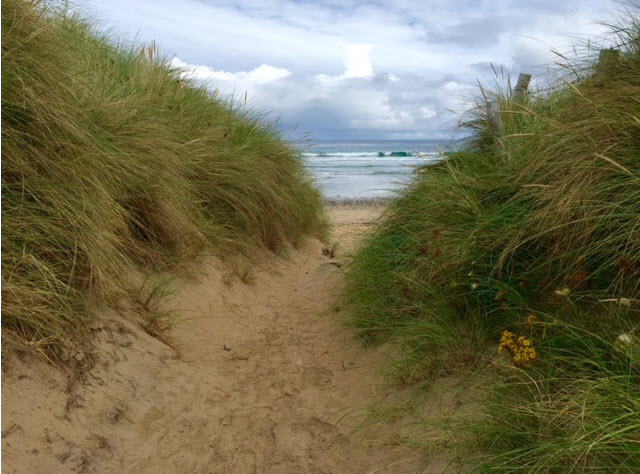 Over a mile long, the dune-backed beach is the perfect stroll before lunch. 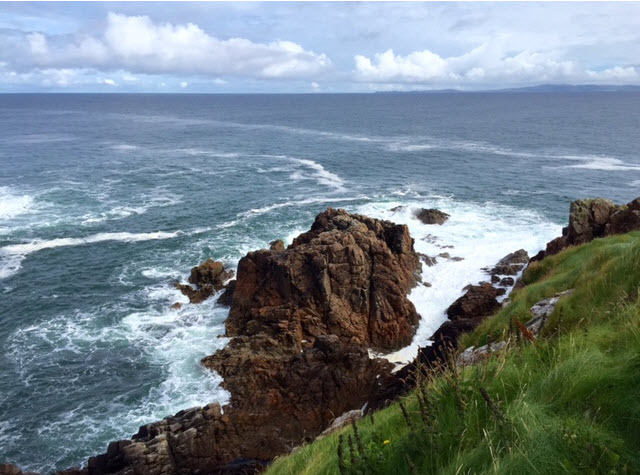 Though Donegal features 11 lighthouses, the one on the Fanad Peninsula is considered to be one of the most beautiful in the world. 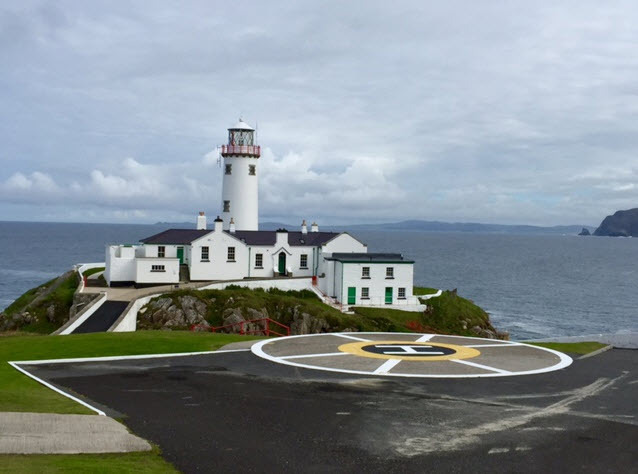 Perched atop the heart-poundingly spectacular cliffs of Lough Swilly and Mulroy Bay, the iconic lighthouse has its own heliport. On the way to Churchill and Glenveagh Castle note the Derryveagh Mountains rising in the distance. You’ll be passing thousands of acres of bogs where turf is still harvested to heat homes. 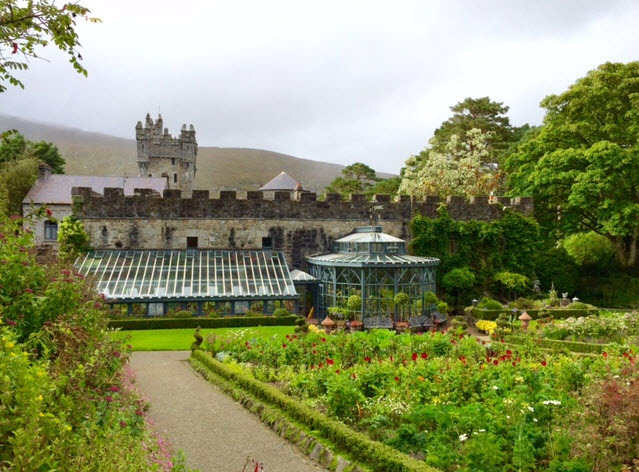 Set on a high promontory along Lough Veagh, the castle is part of the Glenveagh National Park and the Donegal Garden Trail. 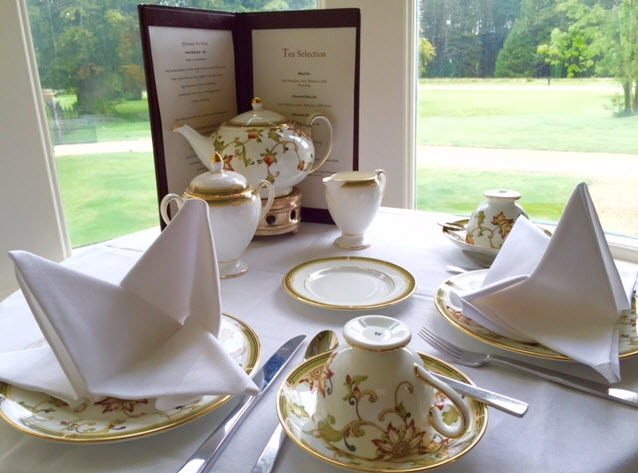 Once there, take a guided tour of the antique-filled rooms of the Scottish baronial style mansion house, the Victorian walled gardens and the greenhouses. The former estate and hunting lodge of the heir to the McIlhenny Tabasco fortune, it was constructed in 1869 and visited by American film stars such as Marilyn Monroe, Greta Garbo and Charlie Chaplin. 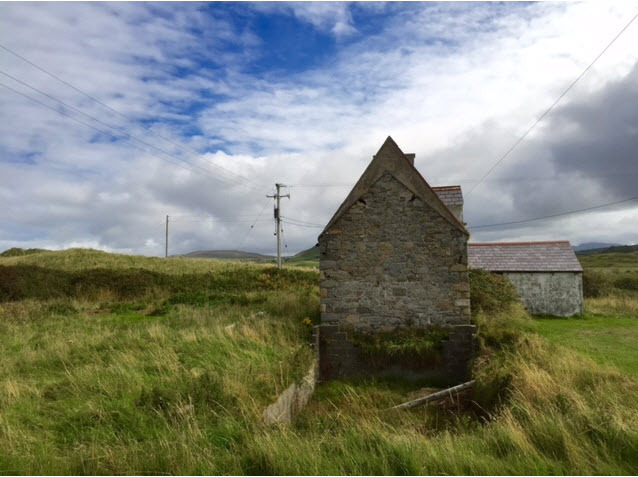 On Main Street in the former fishing village of Dunfanaghy is Arnold’s Hotel, a cozy, well-located, family-run hotel with views of the bay. After check-in head off for dinner at The Singing Pub and Ocras Café in Downings on Sheephaven Bay. 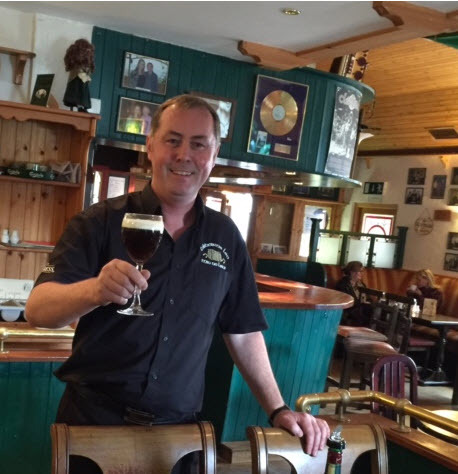 There you’ll find a welcoming peat-burning fireplace, seafood fresh off the boat and lively music by local bands. Heading off to Burtonport the Errigal Mountains loom largely over the bucholic terrain. 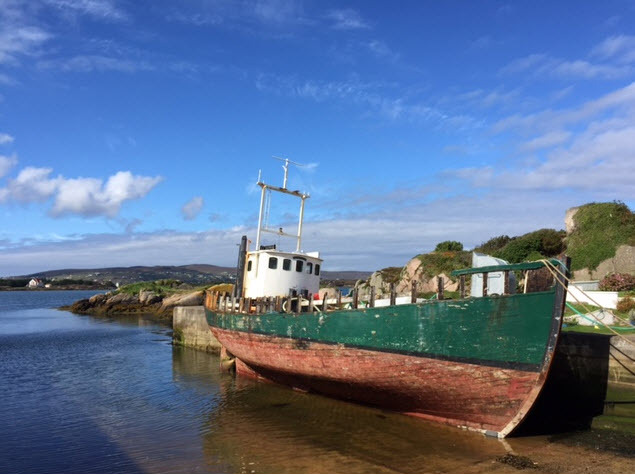 At the harbor catch the 15-minute ferry ride to Arranmore Island, a scenic island boasting a population of around 600 residents, which swells to nearly a thousand in summers as visitors come to the traditional Gaeltacht schools to learn the Irish language. Aboard the ferry you’ll probably share a bench with adorable Irish-speaking children who make the daily round trip to schools on the mainland. 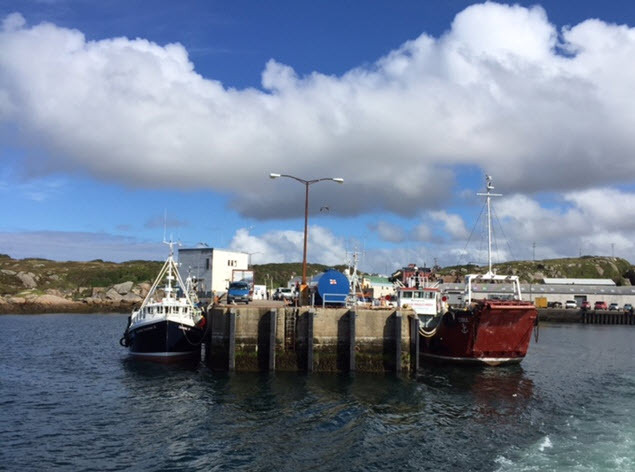 For daily ferry schedules visit www.ArranmoreFerry.com. Once back on the mainland it’s time for a pint of Guinness or a perfectly made Irish coffee topped with soft whipped cream at Leo’s Tavern in Meenaleck. For timelessly elegant dining and world-class wines, make reservations far in advance for the ever-popular Harvey’s Point Lodge. 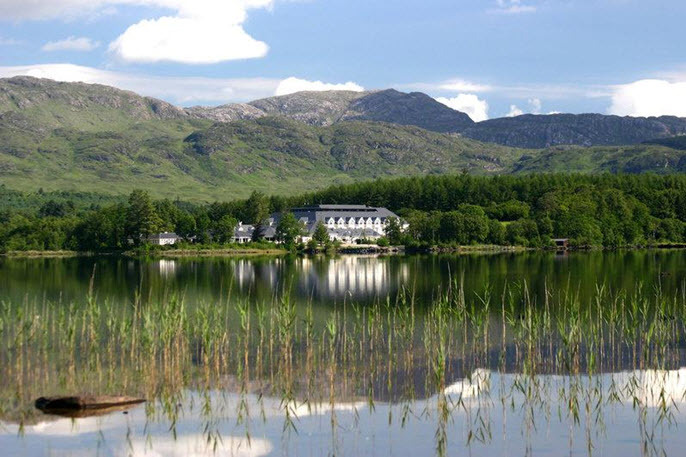 Situated along Lough Eske, the hotel’s restaurant, calls its dining experience, “Cuisine Art” and offers a dinner cabaret on Wednesday nights. 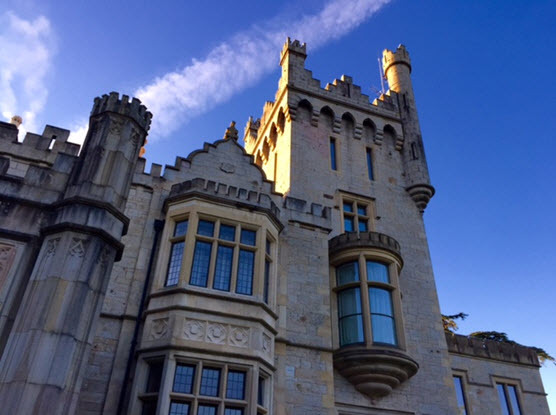 Solis Lough Eske Castle is framed by the Blue Stack Mountains on one side and the lough on the other. A five-star property, it is a peerless example of a Tudor-baronial castle. 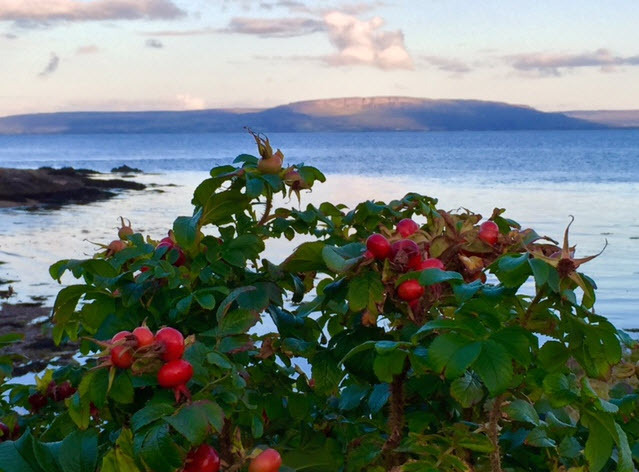 A half-hour’s drive away outside the village of Mountcharles, lie the perennial-filled gardens of Salthill with its striking seaside views and fields of meadow grasses overlooking Donegal Bay. 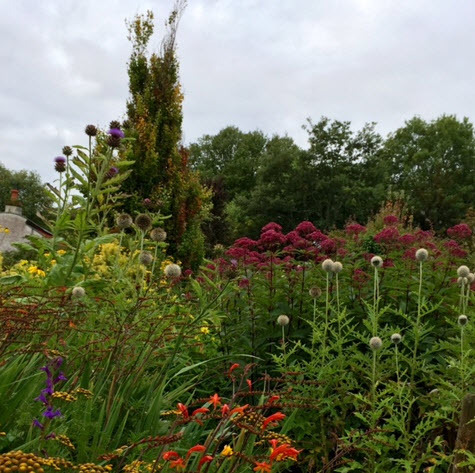 Wander through mown paths lined with ferns and wildflowers and take in the aroma of 19th century roses that flourish on stone arches in the walled gardens. 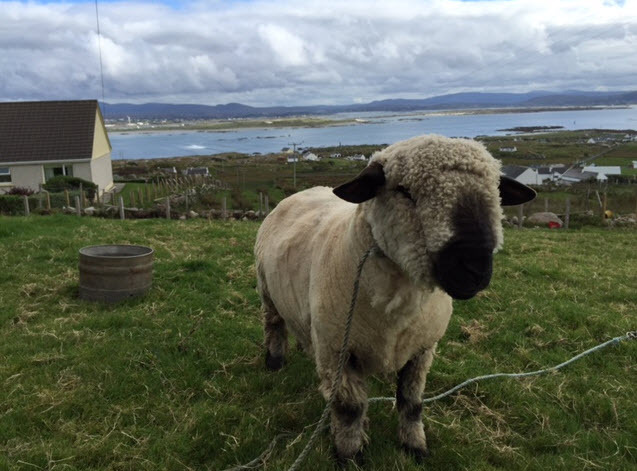 Traveling to Mullaghmore in nearby Sligo County is Eithna’s by the Sea run by Eithna O’Sullivan and Prannie Rattigan of Prannie’s Irish Seaweed Kitchen. 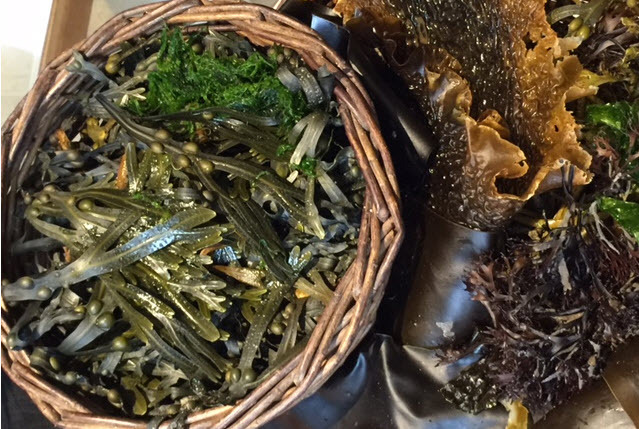 Rattigan is a medical doctor by trade and an expert in edible seaweed who lectures at conferences around the world on the benefits of algae, more familiarly known as seaweed. 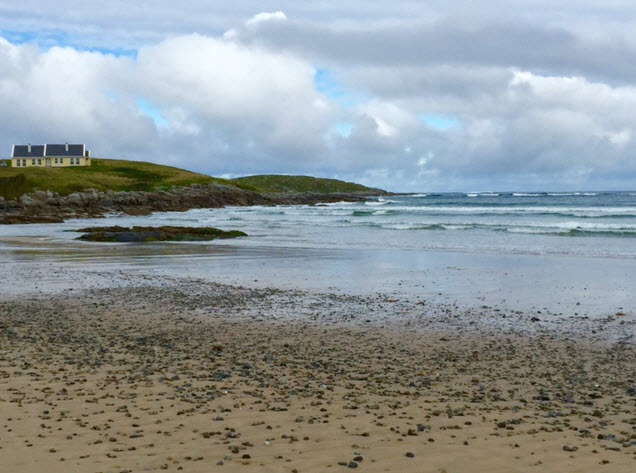 Over 600 species of marine algae can be found off Irish shores. 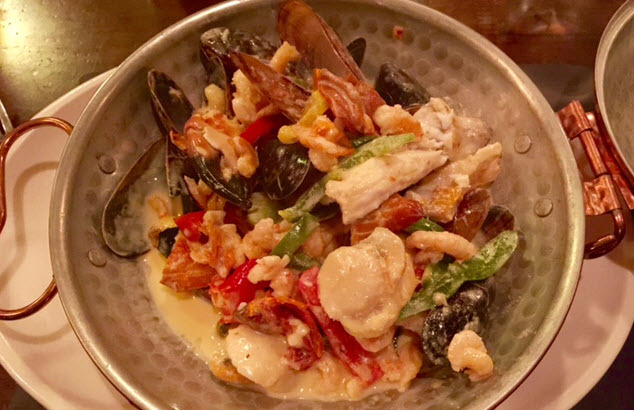 Here they are sustainably harvested along the Atlantic coast where their vitamin and mineral-enriched flavors appear in delicately prepared seafood dishes. 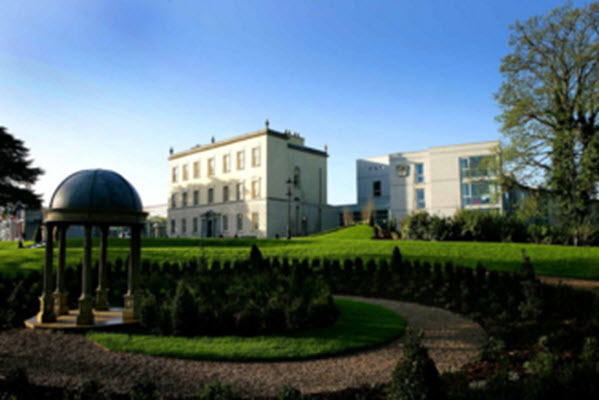 Close by Dublin’s airport in Meath, but a world away from the hustle and bustle, is the opulent, Georgian period Dunboyne Castle, a magnificent property with spa and lovely gardens. 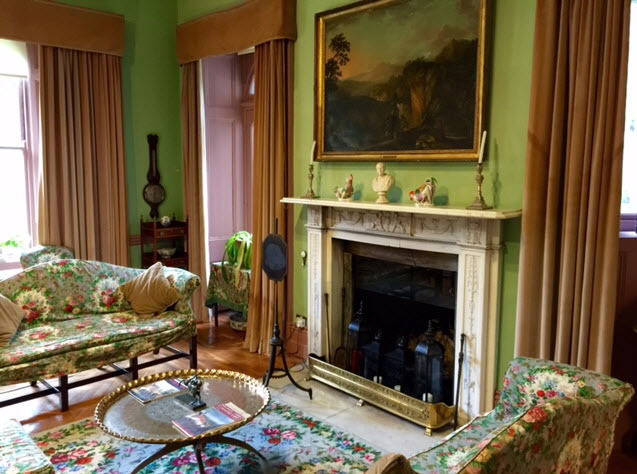 Relax in this former home of the Lord of Dunboyne before your flight home. For direct flights to Dublin from Dulles Airport visit www.AerLingus.com. 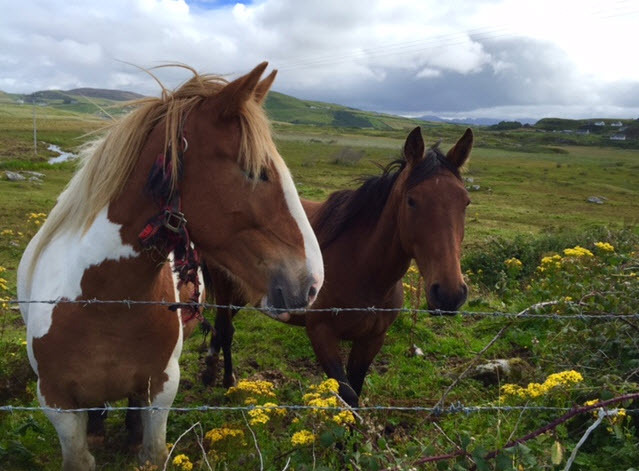 For further information on traveling the Wild Atlantic Way, visit www.WildAtlanticway.com.